« Be Whole In What You Do. 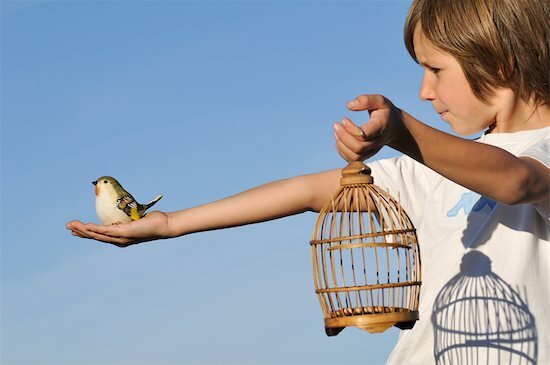 Why Letting Go of Attachment to Outcome Sets You Free. This concept, which is one of the tenets of Eastern spirituality, tends to be deeply misunderstood. If you are not attached to anything, why bother to do things? Attachment is, for many, what it means to be human. You strive and struggle for the things you care about. You are naturally attached to outcome! When you start a business, when you raise a child — naturally you are attached to things working out in a certain way. You want things to be successful. If you didn’t, you wouldn’t be human. This belief system is, unfortunately, at odds with the flow of reality — which all too often takes people’s best-laid plans, and throws them to the wind. It is not because reality is cruel. It is because creating without attachment to specific outcome is in alignment with nature, and reality. Plants scatter their seeds. They do not know which seeds will sprout, or where their seeds will be taken. When you create anything, you cannot know where that energy will go. Very often life moves in directions that you could never foresee, or plan for. Accepting this basic truth of existence is the essence of non-attachment, and it is what you are here to learn. You are born into bodies that will die. Every one of you will experience physical death. There is no physical immortality. Even if you have many children and grandchildren, you will not achieve physical immortality through them. Everything you hold dear will eventually be swept away by the sands of time. 10,000 years from now, what will be here? If people fully grasped this, it would mean an end to violence. Why fight and kill over things no one can hold on to? Alexander the Great, the Roman emperors — where are their conquests now? So liberation from attachment, far from being cold and inhuman, is actually the path to deep compassion and true sanity. Consider how much better parents would be to their children, if they were not attached to their children turning out a particular way, or going to certain schools, or entering certain professions? Think how much more loving parents would be if they could really accept their children as they are. For that is what non-attachment really is. It is just accepting reality as it is, and not fighting with it. This certainly doesn’t mean you shouldn’t create, and build, and dream. It just means that acknowledging that whatever you do is subject to forces and powers much larger than yourself. That is what non-attachment is. It does not mean you are a cold, uncaring alien, but actually someone who is very light in heart and spirit. Someone who does not take life so seriously, for everything under the sun is impermanent. The truth is, you never know what will happen. No one knows what will happen. Acknowledging this is the path to sanity, and peace. Denying this is the path to constant misery.